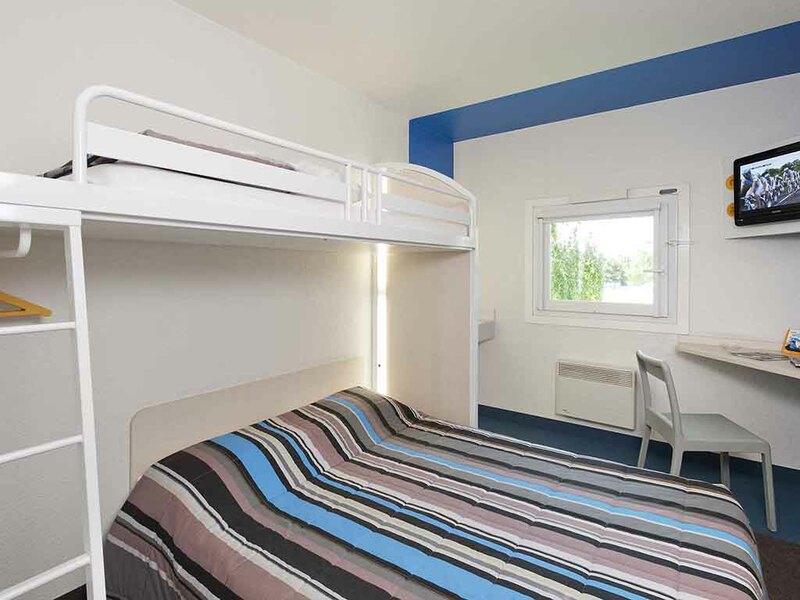 Located between Saint-Etienne and Lyon, hotelF1 Grand-Croix is within easy reach of the two cities, as well as the sports facilities of Stade Geoffroy-Guichard and Lyon-Gerland. At the edge of the Pilat Regional National Park and Saint-Martin-la-Plaine Zo o. Take a break in our budget DUO or TRIO rooms.A low-cost hotel that includes free WIFI, private indoor parking, and all-you-can-eat breakfast buffet. a convenient place to stay on our journey. Room, showers and toilets were clean. Very unsafe for women guests. It was not a completely unpleasant experience but the industrial 'clean' smell in reception was not very welcoming and there was a slight smell of cigarettes in my room. The room itself was basic but adequate. The showers and toilets were basic but fine and very clean. The staff were excellent. Good professional service. Clean and unusually well-aired, not smelling of stale smoke as do some F1 hotels. Asked for and got a quiet room away from the motorway. An ideal stop coming from Italy on the way to the ferry to UK. Have not used F1 for decades and had a problem accessing. Unclear that the Res No must be input into a machine by the door to get the 6 digit code needed for both gate and room access. Hotel, once inside, very good experience, very helpful manager. The room was so hot we had to sleep with the window open. It becomes extremely smokey because the outside tables were just below our window and people sat outside smoking and drinking until 5am. It was impossible to sleep because the same group had their car radio blasting out music. This was the worst experience I have ever had in a hotel. It was ok. Basic but I expected that. Minimal towels isn't ideal. You should leave at least three or four. The area was nice but was a little far from St Etienne. Showers and toilets were clean enough. Room and facilities basic as expected, very friendly and helpful staff. booked 2/3 hours before arrival, fairly straight forward to get documents and codes. secure parking, rooms clean, good breakfast.